Celebrating Over 19 Years of Christian Art Ministry! 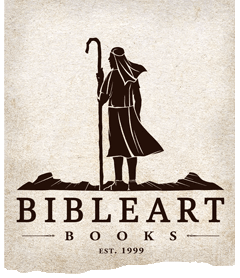 Started as a Christian art ministry by Robert Flores in early 1999 (while still in College), Bibleartbooks has been blessed by God over the years. Bibleartbooks.com was registered in October 2000. This website of art and essays grew to include online comics. We hope that you are able to find something here that will draw you closer to God. Robert Flores is privileged to be able to offer these artworks and writings for your personal growth in Christ. Feel free to pass this website on to family, friends and pastors. Bibleartbooks is a Christian arts ministry whose purpose is to bring people into a deeper relationship with Jesus Christ, through the use of comic books, art and stories. We seek to create art that is engaging, thought-provoking, and spirit-filled to teach people about the love of Christ. Parents, pastors and youth group leaders are encouraged to use the free resources on bibleartbooks.com as a means of sharing the gospel with those around them. Bibleartbooks started as a ministry in October 2000 by artist Robert Flores, but the roots of this unique ministry span many years prior. 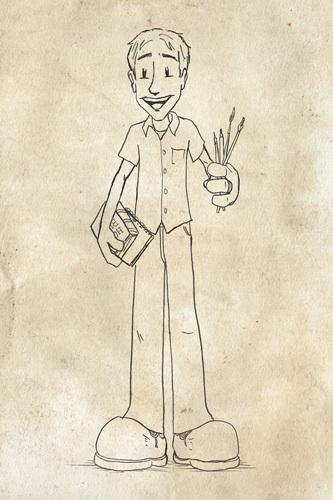 Mr. Flores' childhood was spent reading, watching and drawing cartoons. He grew up with all the fantastic 80's cartoons: Transformers, Voltron, TMNT, Ducktales, etc. He also grew up with a steady library of children's books from his mother: Berenstein Bears, Clifford, Curious George, Critter, not to mention comic strips like Calvin and Hobbes and Grimmy. Those early TV shows and books inspired him to be a cartoonist. He created and drew several cartoon characters and placed them in many humorous stories. In 1988, a shift came in his thinking with the release of Who Framed Roger Rabbit?. That movie sparked inside of him a desire to take cartooning more seriously and really refine his craft. He continued drawing through junior high and the first two years of high school, but then something happened in between his sophomore and junior years of high school: Robert Flores became a Christian. To understand the significance of this, it must be stated that Mr. Flores never really considered God to be the source of his drawing talent. Growing up as a Catholic and going to Catholic school, he thought that God was just an entity out there to punish you when you did wrong. In other words, for the first 15 years of Mr. Flores' life, he didn't know who God was. But, in the Summer of 1994, through the influence of a classmate, he came to trust Jesus as his Savior. His artwork immediately changed from the very dark, disgusting artwork that he had been creating, into something that could glorify God. He continued drawing for the high school newspaper through Senior year and enrolled in a community college. Two more years of studying art opened his eyes to what he could do with his God-given talent. But during those tumultous college years, he slowly drifted away from God. Life had become too busy and had forced God out of his life. He desperately needed God again, but was at a loss for how that would happen. In April 1998, God got a hold of Robert Flores again, and completely transformed his life (again). The things of art, as important as those were, took a back seat to the things of God. For almost a year, Robert studied the Christian faith and the evidences for it, so that he could better communicate what and why he believed that Jesus was the Savior of the world. Some of these thoughts made it into essays for Bibleartbooks, including: Guidelines and Suggestions For the Christian Artist, Thoughts On Christian Art, So, You Want To Be A Christian?, "Rationalizing" A Life Without God and Intolerance To Sin. He also experimented with a lot of different art media, learning what would work and what wouldn't work for biblically-based art. In Spring 1999, in his third (and final) year of college, 5 Old Testament oil paintings were completed (and would later be added to the website): Deborah, Ezra, Esther, Nehemiah and Huldah. A short testimony of Robert Flores was also added, I Never Knew the Love That Only Christ Could Give. The rest of 1999 saw the new artwork of A Message for Pilate, Samson and Leviticus 14. In the year 2000, several new art pieces were added, including: Jephthah's Daughter, Potiphar's Wife, A Soldier in Gideon's Army, Ruth and Boaz, The Whale. However, for the bulk of the year 2000, Robert Flores was working on his first graphic novel. In October 2000, through the help of Mr. Flores' Aunt, Aida, he was able to secure the URL, www.bibleartbooks.com. Thus was born Bibleartbooks, the official Christian arts ministry (though, initially under the name of Christian Chapbook Publishing). The year 2001 saw the the addition of several Bible-based illustrations such as: Four Angels, Rahab Flees Jericho, Elisha and the Shulammite, Esther and Mordecai, Jacob and Laban, Rahab and the Two Spies, Samson's Parents (of which some of these ideas are spun off from the upcoming Hebrews 11 Flash movie). In July 2001, Bibleartbooks saw the publication of its first graphic novel, The Graphical Epistles of First John, James and Jude. This book was featured in a local newspaper and free copies were quickly exhausted. During the course of this year, work was begun on 2 Flash movies. Several essays were also added in the Fall of 2001, including: Hell and Justice, Job and Jesus, Jesus Was Made Sin For Us, The Immutable God. The beginning of 2002 saw the completion of four Flash movies (older technology): In the Beginning, The Prodigal Son, Substance & Evidence and Stripes Above Measure. Two essays were also added: God Walks the Talk and The Trinity As Savior. In Summer 2002, another print run was made of GE. In late 2006, Bibleartbooks added its first prose short story, entitled, The Choir Girl. The following year saw the addition of two more short stories: The Reunion and The Sketch in the Diner. In 2010, a major website redesign was completed. In 2017, a complete redesign of Bibleartbooks, complete with new logo design was completed. Several more essays and artwork have been added over the years and continue to be added at various intervals. We are thankful for what God has turned Bibleartbooks into. We are humbled that these paintings, illustrations, comics and short stories are reaching and teaching people around the world about the love of Christ. Robert H. Flores has been telling stories since early childhood. He is a graduate of Riverside Community College and has worked as a graphic designer for almost 20 years. He enjoys writing stories and sharing the gospel in creative ways. He is the author several books, booklets and tracts. He lives in Southern California with his wife, Jennifer, and three children. We believe in God, who is eternal, infinite and unchanging in His omniscience, omnipresence, justice, love and holiness. He is the Creator of all things, eternally existing and manifesting Himself in three persons: Father, Son and Holy Spirit. We believe in Jesus Christ, the eternally existent and only begotten Son of God, fully God and fully man, born of a virgin, who lived a sinless and perfect life, atoned for the sins of humans in His death, was buried, resurrected bodily on the third day, ascended to heaven and who will return as King and Judge of the earth and reign forever. We believe in the Holy Spirit, the Baptizer of every believer, who bestows spiritual gifts and empowers, guides and fills them for life. He illuminates the Bible, intercedes for believers and acts on their behalf and God's. We believe that God created man as a responsible being, who, as the image of God, fell through his choice to disobey, and all humans have subsequently been lost, warped toward sin, alienated from God and only the atoning death of Jesus Christ can restore men and women to eternal life with God. We believe in salvation by grace through faith, not by works of humans, but exclusively by the perfect work that Christ made through His death on the cross. We believe the Bible, the verbal plenary inspiration of its 66 books, the inerrancy of the original autographs and its authority on matters to which it speaks. We believe in the Church, the unified body and bride of Christ, composed of all believers, expressed in local congregations, commissioned to preach the gospel of Christ to the world. We believe in a future ordained by God, the resurrection and judgment for all, the redeemed to eternal joy in the presence of Christ, the lost to eternal punishment. "I can’t tell you what a blessing it was to read the article The Press Enterprise wrote about you and your wonderful imaginative Bible comic book. My 7 year old son recently began taking animation classes and you certainly are an inspiration for him to use his gift of drawing from God as a ministry." "I teach junior high in a Christian School, I am looking for Christian comic books to not only peak the interest of my students in reading for pleasure, but also to satisfy their thirst of knowledge for the Lord’s word. Thank you so much." "Our Bible study group is thinking of studying I John, and I thought this might be a great supplement to any study material we have. You did a great job of making it interesting, but more important, staying true to Scripture. Thank you." "I am a evangelical chaplain serving the Lord here in Tucson. I serve incarcerated juveniles, ages 13-17+, all males. I am always on the lookout for materials on their level. I think comics are a great way to share the Gospel with youth.  Please send me a sample of the free comic books, 1 John, James and Jude or any other materials you think would be good for kids." "I think this is a great thing you are doing. God has given you a great blessing and talent. It is so good to see that you are putting it to use. I work in our children’s department at my church and just today we were talking how our children need to work on putting together their own library of books. It is books like yours that will teach our children that they can have a relationship with their Heavenly Father. Showing them in a way that they will connect and relate too." "I just received the 50 comics that you have given to me together with some tracts last week. Thank you very, very much. . . . I’m sure that these Comics would greatly help stir our young people’s interest in reading the Holy Bible. You are an encouragement to me and to many other brethren." "Just stumbled upon your website, and am amazed! I would love a copy of the Graphical Epistles book. I have been a youth minister for 8 years, and am currently in seminary, and I am really excited to see such a new and fresh interpretation of this Scripture. Thanks." "I just received a copy of The Graphical Epistles and it is FANTASTIC! What a wonderful way to minister . . . Thank you and God Bless!!!" No one ever creates something in a vaccuum. Without the talents, time and generosity of many people, bibleartbooks.com would not exist. Likewise, without the use of certain software, this website would be much weaker and harder to have accomplished. Here, I want to thank the people who developed the software I use: Microsoft Windows XP, Adobe Photoshop CS, Adobe Acrobat 6, Adobe InDesign CS, Adobe Illustrator CS, Adobe GoLive CS, CubicExplorer, OpenOffice Writer, OpenOffice Calc, Firefox, XnView, Notepad2 and Notepad2 Bookmark Edition. I will say that Notepad2 (expecially the Bookmark Edition) revolutionized my ability to code. Thank you to all the programmers, bloggers and web designers that freely share their code online along with tutorials.Thank you, MorgueFile.com for the amazing free stock art.I also want to pay tribute to the people of the former software that helped me along the way including WordPerfect, Microsoft Word, Macromedia Flash, Macromedia Dreamweaver and Internet Explorer. Neal Godfrey, for generously hosting my website at nobaloney.net. Former friends that helped me along the way (but are no longer here on this earth) include: Don Ensign, Jeff Lasman and Bryan Medof. I want to thank my many teachers in life: Mrs. Clark and Mrs. Campbell (Junior High), Mrs. Jan Makowski (Confirmation Teacher), Mr. Baughman (High School Art Class). Karen Russo (Art Classes, RCC), Cindy Miter (English Class, RCC), Nancy Cantor (Watercolor Class, RCC). I want to thank the authors of the books that have influenced me: The Bible (KJV) by God, Several Books on Creation Science (by Henry Morris and ICR). Several pastors' sermons that have helped me along the way include Matt Trewhella, John MacArthur, Greg Harris and Jeff Mooney. The art books that have influenced me: Understanding Comics by Scott McCloud, Sequential Art by Will Eisner (look at list in Shadows of a former wall). Thank you to my current favorite contemporary artists: Mike Kunkel (Herobear), Royden Lepp (Rust) and Dennis Jones (Bible Storybooks). Thank you to to El Greco for inspiring me through his Mannerist paintings. I want to honor the authors of the comics that have influenced me to varying degrees: Bone by Jeff Smith, Calvin and Hobbes by Bill Watterson, Grimmy by Mike Peters, Pogo by Walt Kelly, Krazy Kat by George Herriman, X-Men by Joe Madureira, Witchblade by Michael Turner, Proverbs and Parables (1998 by Ralph Miley and CCAS), Marking the Trail by Kevin Yong. I want to thank my aunt, Aida, who in 2000, helped me to setup my first website. My parents, for always supporting my art. My college art friends (Maxxx, Steve, Steve, Greg). My friends at CCAS, who have given me much feedback on my art and stories. My close friends, Eric Jansen, Kevin Yong, Geoff Strout and Wayne Cash. My loving church for her generosity to my family that she has shown us during the hard times. My current employer and coworkers (and past employer and coworkers) who have allowed to me to learn about the world, and provide for my family. My children for their child-like inspiration. My wife, for her love and support of my labor-of-love. Last, but not least, I want to thank my Lord and Savior, Jesus Christ, for allowing me to create this website. He is the greatest Programmer and Artist of all. Or, if you would like to find out how to support us in other ways, please visit our Support Page here.